LARKANA: The Shaheed Moh­tarma Benazir Bhutto Medical University (SMBBMU) management on Thursday finally agreed to revoke the rustication order against three students of the Bibi Aseefa Dental College (BADC). also attended by Prof Zaffar Pirzado, Dr Amanullah Jokhiyo, SSP Kamran Nawaz Panjoth and SP (headquarters) Tauqeer Naeem. Larkana Hindu Panchayat Committee chairperson Advocate Kalpana Devi also attended the meeting and played a role in settling the issue. While the SMBBMU vice chancellor and other members of his negotiating team appeared not willing to appear before the press for a briefing on the deliberations and outcome of the meeting, Prof Pirzado said he was not in a position to speak out over the issue. The SMBBMU spokesman, Samad Bhatti, in an email to Dawn said that it was decided at the meeting that the rusticated students would tender an apology in writing and pledge to ensure respect for teachers. He said after submission of the apology and commitment letter, not only their rustication order would be withdrawn but their admission to the college would also be restored. JSQM leaders Athar Soomro and Ashraf Kalhoro told the media at the local press club the university administration agreed to withdraw the rustication order after heated arguments at the meeting. 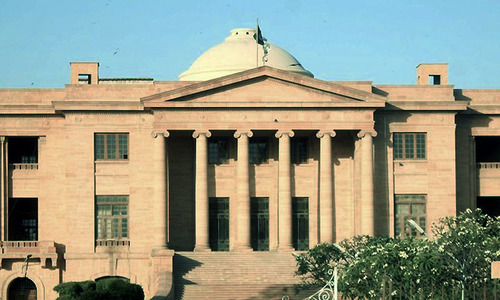 “They [the rusticated students] have been asked to tender an unconditional apology to the VC and his team members and undertake in writing that they will not misbehave with the faculty in future,” the leaders said, adding that the VC would withdraw the rustication order upon submission of the required documents along with a formal application. They said that at the meeting also, the students apologised to the VC and his team members and they accepted the apology, they said, and observed that the Larkana DIG played a very positive role at the negotiations. The talks were held amid protests by JSQM and JSSF (Jeay Sindh Students Federation) activists for the last four days during which classes at the Chandka Medical College and BADC remained suspended. It emerged that around 1,800 students of different batches could not attend their classes due to protest demonstrations, rallies and unrest on the campuses. Some teachers approached the SMBBMU secretary, Iqbal Durrani, to convey the concerns of the faculty and students to him. The secretary had assured them of taking the appropriate measures in this regard.